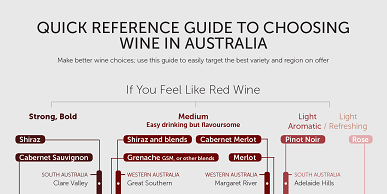 This website contains affiliate links, usually for recommended wines and accessories, which means Wine Wisdom Made Easy would receive a commission if you decide to purchase the product online through each link. However, the price you see when clicking through this link is the same as it would be from a Google search or any other regular source. The commission is taken from the retailer's profit margin and not passed on to you as purchaser. We, in turn, pass a portion of profit from commissions to a charity called Sightsavers, as part of our 'Vino for Vision' giving program which aims to help prevent blindness for people in developing countries. Please be aware that we have tasted all the wines and tested all the accessories recommended. They are only recommend when we are convinced that they represent excellent value for money and are high quality products. We also consult a wide range of sources to check reviews from prominent wine writers and commentators. If you prefer to purchase wine and accessories through other means, please do. However if you have found this website useful, you can choose to support the service (and Sightsavers) by viewing each offer via the links provided in each recommendation. If you have any questions regarding the above, please do not hesitate to get in touch by using the contact page.